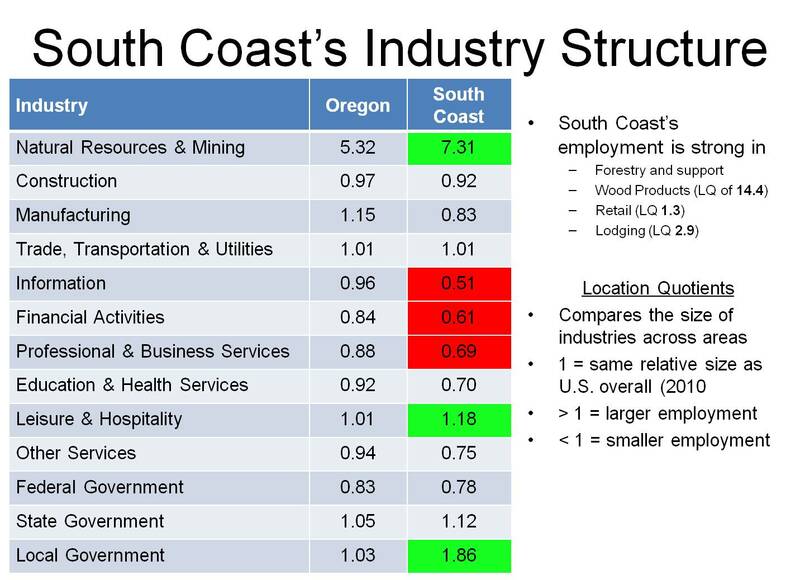 Following up on the recent post on Oregon’s timber counties and their outlook, and continuing with the regional series of posts, the following provides a quick, mostly graphical, historical overview of the Southern Coast. 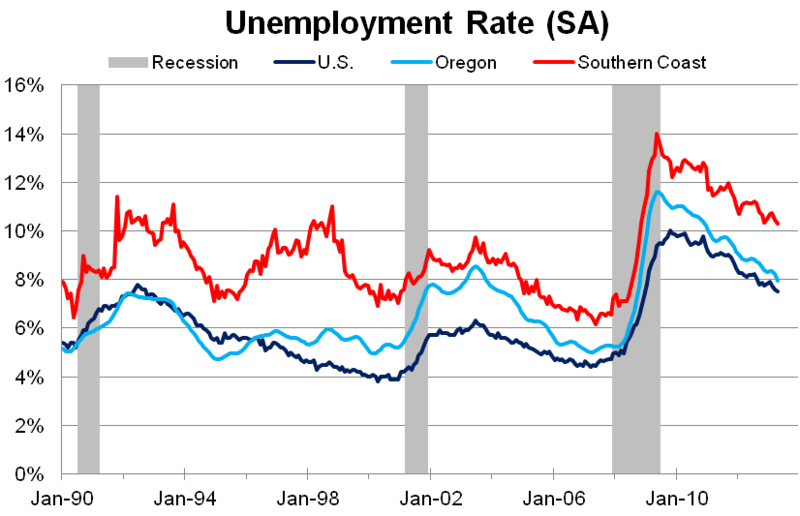 Similar to the rest of the state outside of Portland, the region has experienced two severe recessions – the early 1980s and the Great Recession – and two mild recessions – 1990 and 2001 – over the past 35 years. 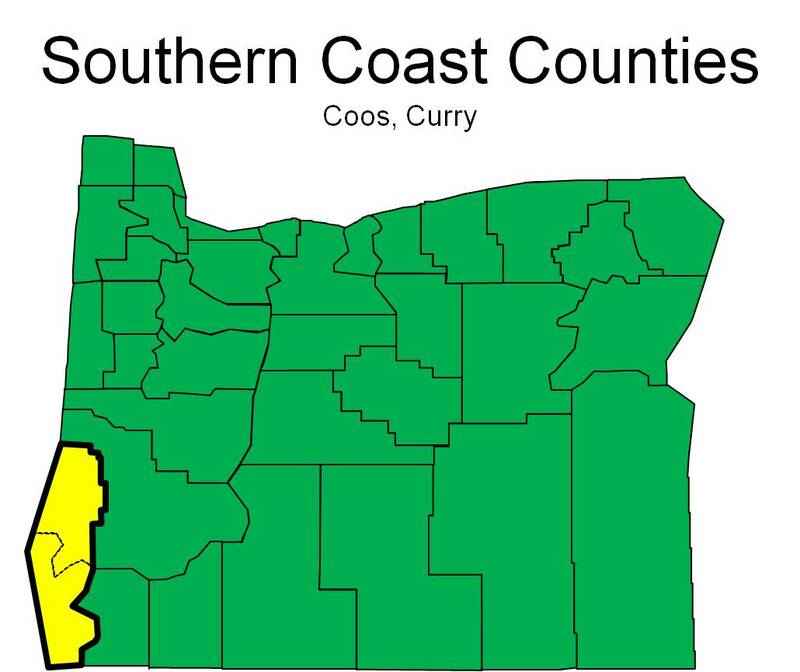 The key difference is the extent, severity and duration of the early 1980s recession in Coos County. That recession was the worst regional recession on record in Oregon’s history – for which we have data and we do not for the Great Depression – and the only thing that approaches it is the recent housing-led downturn in Bend. 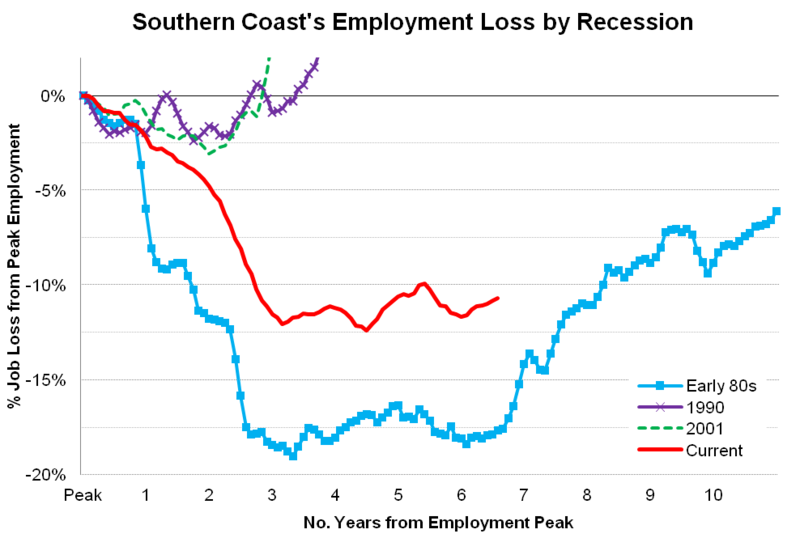 On net, the Southern Coast did not fully regain the total number of lost jobs from the early 80s recession until 1996, some 17 years after employment peaked in 1979. Employment in natural-resource industries, such as wood products and fishing, has decreased in recent years. Of increasing importance are retirement income and tourism. Growth of the retirement sector has added employment in retail trade and services, especially health care. In terms of historical employment changes, the graph below compares the relative performance in job growth between the Southern Coast and the state overall. 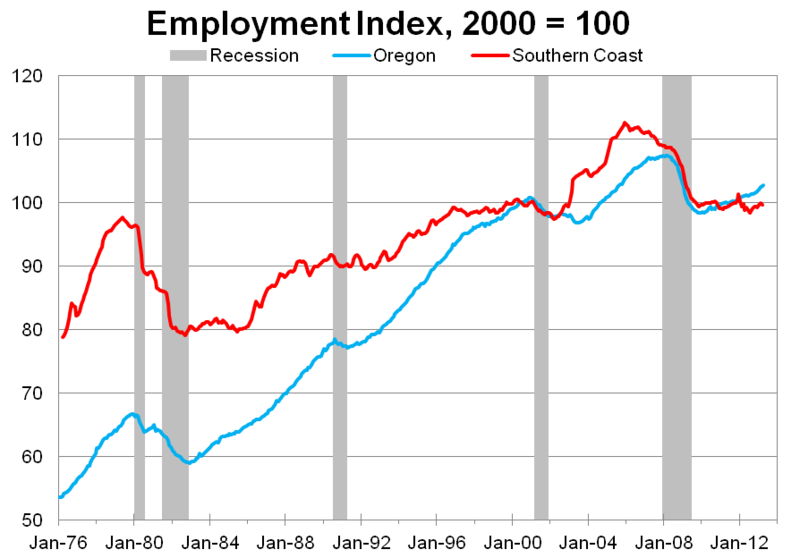 The impact of the early 1980s recession is apparent, as is the recovery through the late 80s and into the 90s. It wasn’t until the housing boom, with an influx of migrants helping to contribute, that the region saw employment growth rates above the state average. See the Oregon timber counties post for more on the influx of migrants and the county population forecast post for more on the demographic outlook. The unemployment rate for the region follows a similar pattern. The next graph compares the four recessions in the past 35 years and their impact on the region’s employment. The aftermath of the housing bust and Great Recession has taken a large toll on the region, however job losses were approximately 5 percentage points worse during the early 80s. For comparison purposes, click here for the state equivalent of the graph. 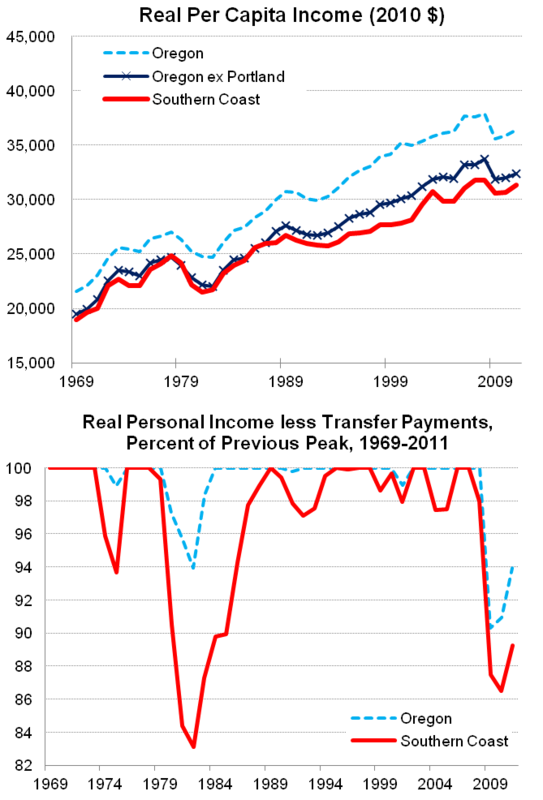 Finally, these last two graphs illustrate the region’s personal income over the past 42 years. For those interested, this data comes from the BEA but is only available at the local level through 2011 at the moment. On an inflation-adjusted basis, the region’s personal income per capita has largely followed the pattern seen by regions of the state outside of Portland, albeit a bit slower in recent decades. In terms of recession comparisons, the second graph again illustrates the severity of the two major recessions in the region and the relative changes when compared with statewide trends. For much more information, I would suggest reading and reviewing the Employment Department’s work. Their regional economist, Guy Tauer, has written numerous articles over the years (see here for a list) and I would also recommend two of his slide presentations. For the most up to date, see this Dec 2012 set of slides (PDF) that covers recent trends, travel spending and demographics. I would also highlight this Dec 2009 set of slides that also covers household income, poverty rates and historical population changes, for those interested.